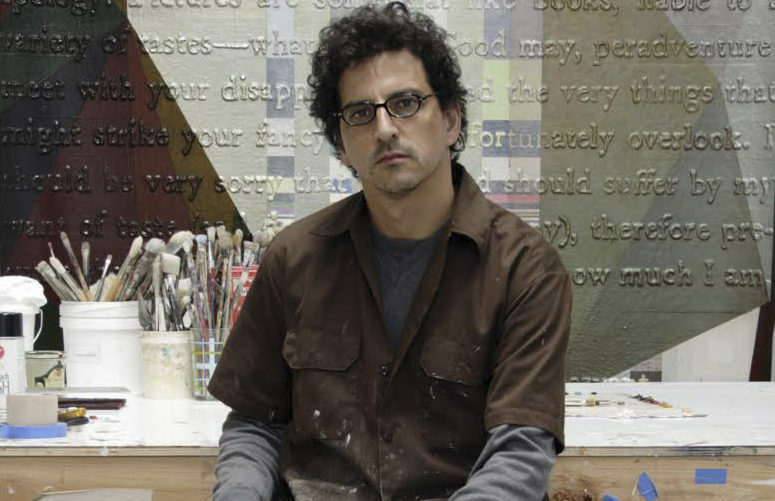 From Israel to S.F., a palette of vistas by ‘accidental’ painter – J. When you ask Shalom Flash about his paintings, he laughs slightly and then corrects you. He isn’t painting; he’s color-reading. His newest body of work, “From Rehovot and San Francisco,” is currently on exhibit at the Jewish Community Library in San Francisco through April 23. An opening reception was held last week. The paintings offer a sampling of realist landscapes, painted in the plein air style, in varying media and sizes. Blurring the line between “landscape” and “cityscape,” the small and unassuming paintings offer beautiful views of street corners, bushy vistas and rolling urban metropolises. San Francisco skies smear heavily over the slow curve of a road in Noe Valley, next to the gentle sunset of a Jaffa townscape. Though he calls Israel his home, Flash spends ample time in San Francisco — especially since his daughter, who lives here, recently had a child. When he visits the Bay Area, he spends his afternoons strolling different areas — such as Noe Valley or “the Dish” in Palo Alto — with his easel and paints, setting up when the light hits just right. Though he found the light to be similar to the Rehovot area, he was surprised by the Bay Area’s abundance of colorful houses. After visiting his Flash’s studio and doing some research, Grossbard decided to work with Flash to put a show together that featured landscapes from the two countries hanging side by side. Canvases of all shapes and sizes adorn the walls of the library, each offering small moments of color, landscape and beauty. 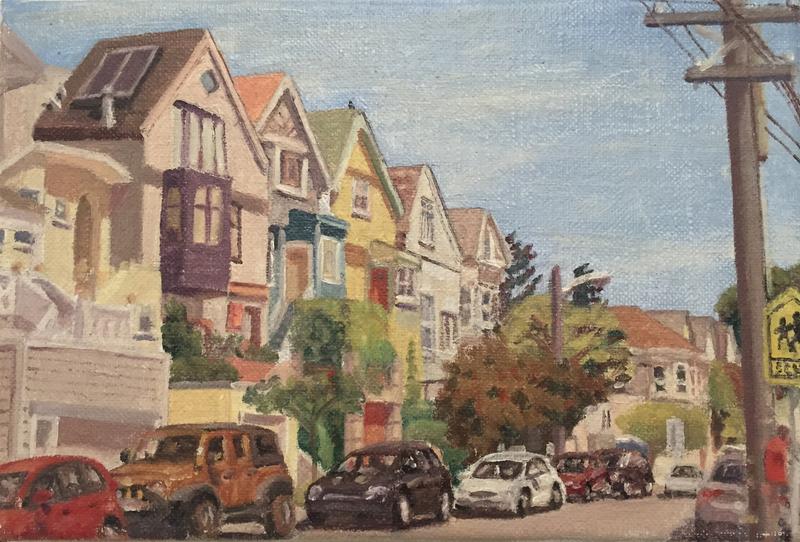 Small paintings of Tirat Shalom (a neighborhood in the central Israeli city of Ness Ziona), Netzer Sereni (a kibbutz in central Israel) and Jaffa (in the southern part of Tel Aviv) hang in a row next to some urban street scenes of San Francisco. On the back wall hang two long panels depicting the cloudy skies of San Francisco as they sweep over the multi-colored houses, buildings and, in the distance, a long bridge. Flash grew up in Israel, and says he started painting accidentally. His interest in art began only in his early 20s, during his post-army backpacking travels. His art practice has remained consistent since graduating in 1984. He drives around, trunk full of of oils and turpentine, looking for the right light, the right framing. When he finds it, he sets up his easel, unpacks his palette, spreads out his paints … and looks. 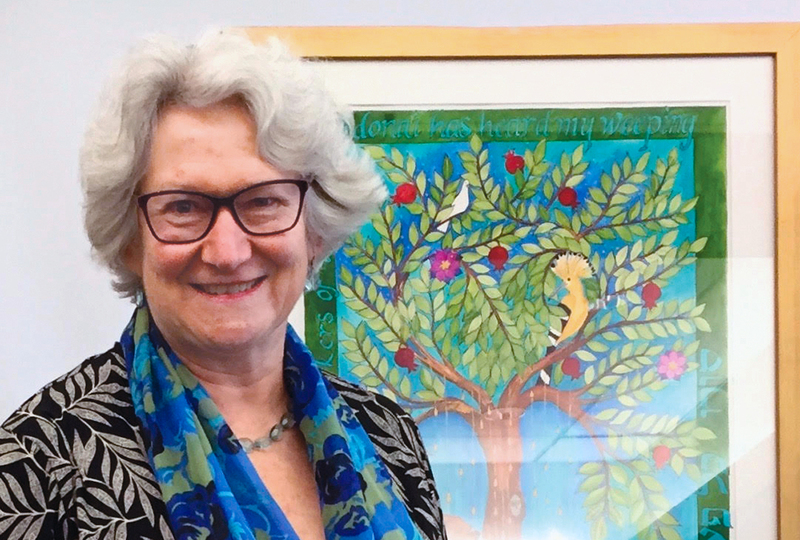 “From Rehovot and San Francisco: Paintings by Shalom Flash,” on exhibit through April 23 at the Jewish Community Library, 1835 Ellis St., S.F.